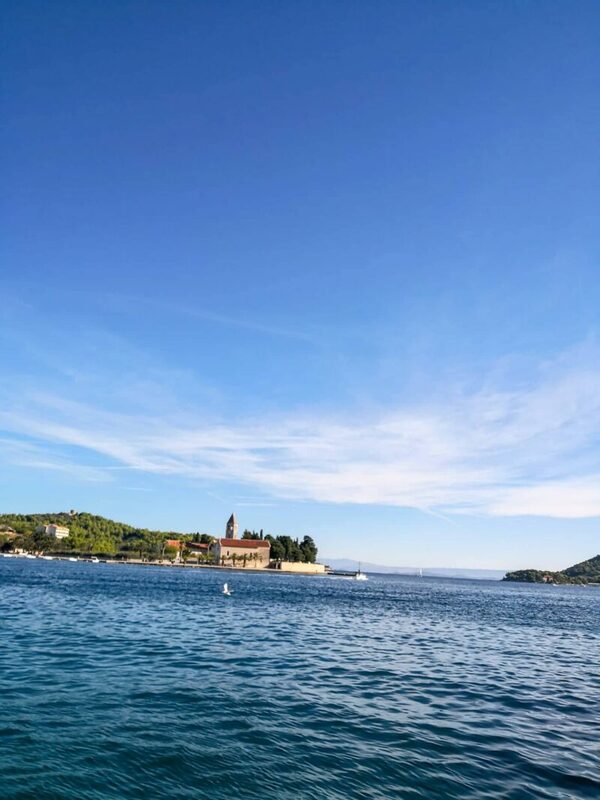 Another post banging on about how beautiful and amazing my beautiful country Croatia is and how you should put it on your bucket list. I get it, you’re still not over hearing all the reasons why you should be visiting Croatia. Lucky for you, I have a million reasons for you to visit Croatia, first hand experience to back up these claims. For the second time this year, I find myself on the island of Vis, this time with Croatia Full of Life. As we sail into Komiza marina I relive my first “Komiza moment” from a few months back, I don’t think this moment can ever get old and once again I’m convinced that Vis is the best island in Croatia. 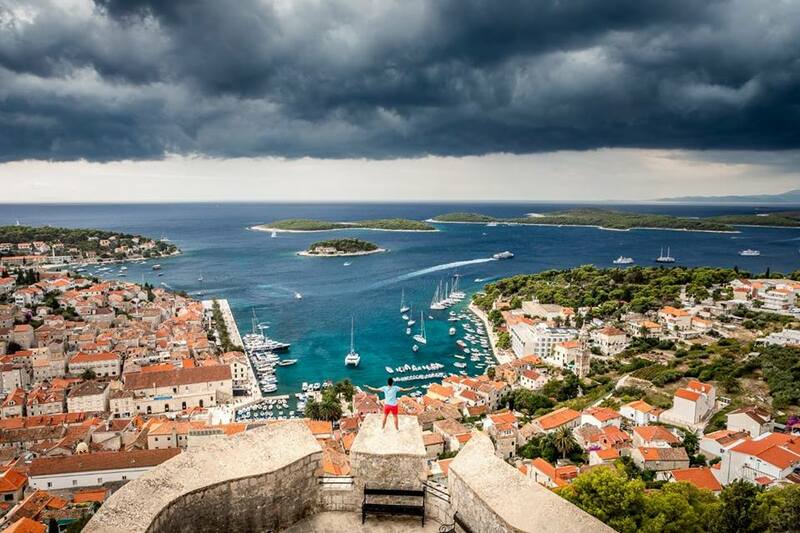 I take it back Hvar! What makes island of Vis so special? It’s untouched nature and authentic dalmatian settlement. There’s certainly a different energy throughout the whole island and although Vis is a popular destination for tourists, it’s nothing compared to the likes of Hvar island. This is most likely going to change as the Mamma Mia sequel was recently filmed there so there’s growing interest surrounding the island. I don’t blame anyone for wanting to visit Island Vis! Stepping off the boat in Komiza is like stepping back in time, one thing you’ll notice in Komiza is that there are no communist buildings wedged between the authentic rustic stone brick ones, everything is as it once was. This makes sense because the island was shut to foreigners at the time of ex-yugoslavia, only opening in 1989 so life on the island was limited to only a small number of people. 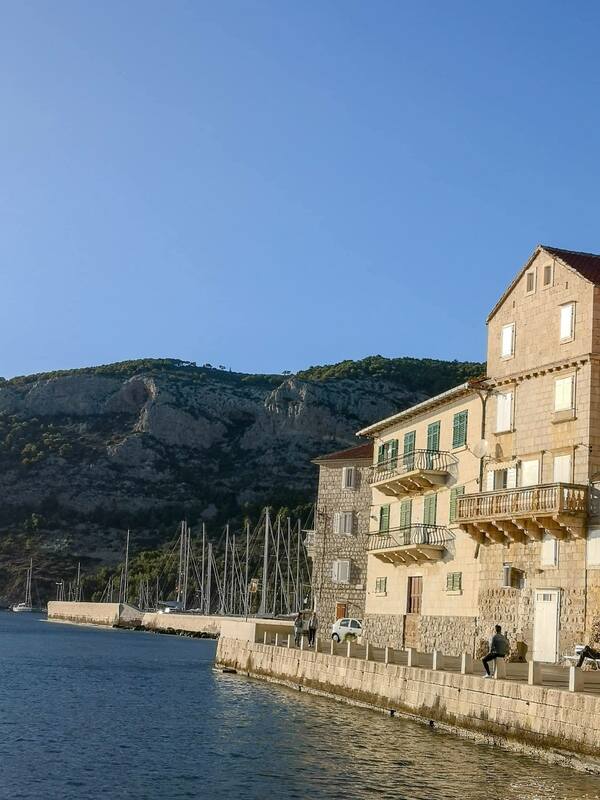 Up until 15 years ago, Island of Vis began to officially attract tourists. 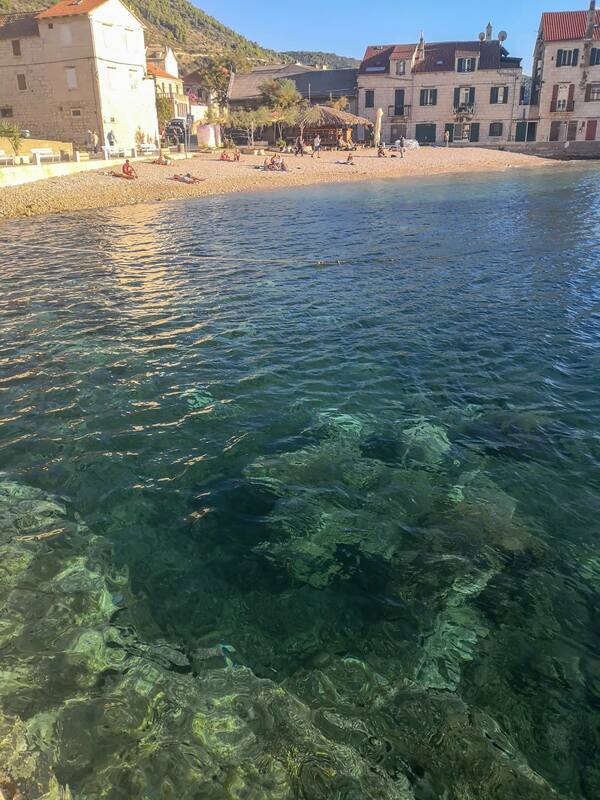 Komiza is one of the rare locations in Croatia where there are no luxury hotels, only private accommodation. Vis has 3,000 beds, as opposed to Hvar that can sleep 30,000 so it’s fair to say, if you want a bit of peace and quiet, Vis is a lot quieter than partying neighbour Hvar. If you want an authentic dalmatian experience, Komiza is certainly the place to visit! Don’t wonder too much why you’re not seeing too many locals, the whole island has a population of only 3500 people, 2000 of which are living in Town of Vis. While the option is always there to mingle around the marina and get lost in the cobble stoned alley ways in Komiza, if the weather is in your favour you should definitely stop by one of the many beaches. One thing you’ll notice about all the pictures from Island Vis is that the waters are crystal clear and bright blue, Island Vis does not need your instagram filter but then again, neither does any part of Croatia! 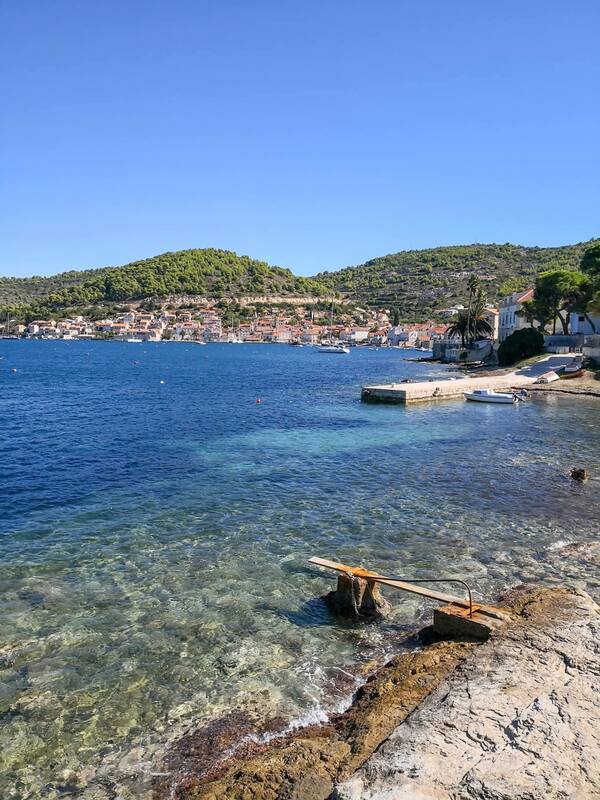 If you follow the road at Komiza and keep walking around the corner, you’ll find Beach Lucica. 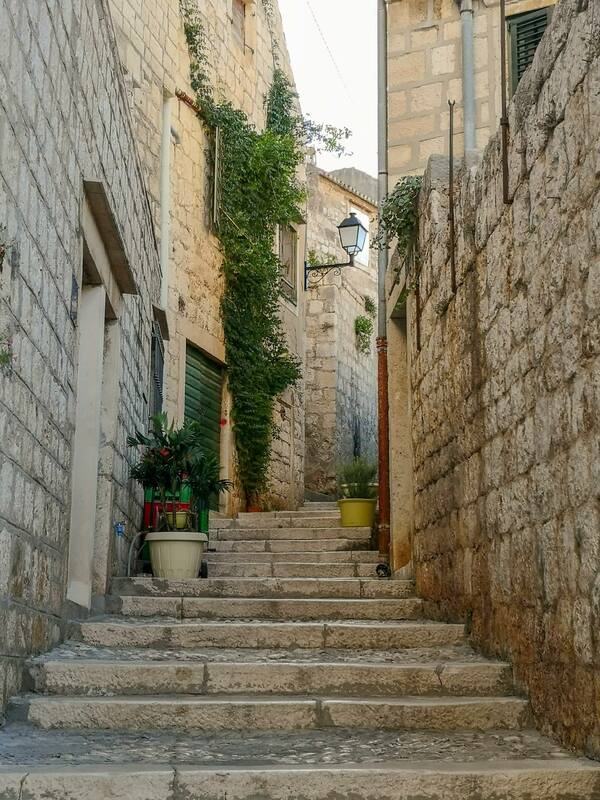 I guarantee you’ll have one of your “wow” aha type moments, one of many in beautiful Croatia. Beach Lucica is the first of many gorgeous beaches in Komiza but if you’re without a car or can’t be bothered walking too far from the main pier, this is the one I recommend you visit. The beach is pebbled so if you’re like me and are a little too sensitive to small rocks make sure you’ve got some water slippers. As you can see this beach isn’t too big. If this one seems over crowded when you visit, about 300m away is Beach Jurkovica, a beach a little more popular with locals rather than tourists. Special note, Komiza marina has your usual shower and bathroom facilities which you’ll be able to access from beach Lucica and the marina. If you’re staying overnight at Komiza marina and want to shower, just so you know there is only one shower and they bathroom facilities close at 10pm. Plan ahead or shower on your sailboat! On day 2 on island Vis we visit Town Vis. We get to Town Vis following a very bumpy sail through the open sea. It was definitely a few hours of sailing I would rather not remember but we survived. Luka and I had never been to Town Vis but we drove by it on our previous visit to the island. Immediately you notice it’s a lot larger than Komiza and a lot more commercialised. 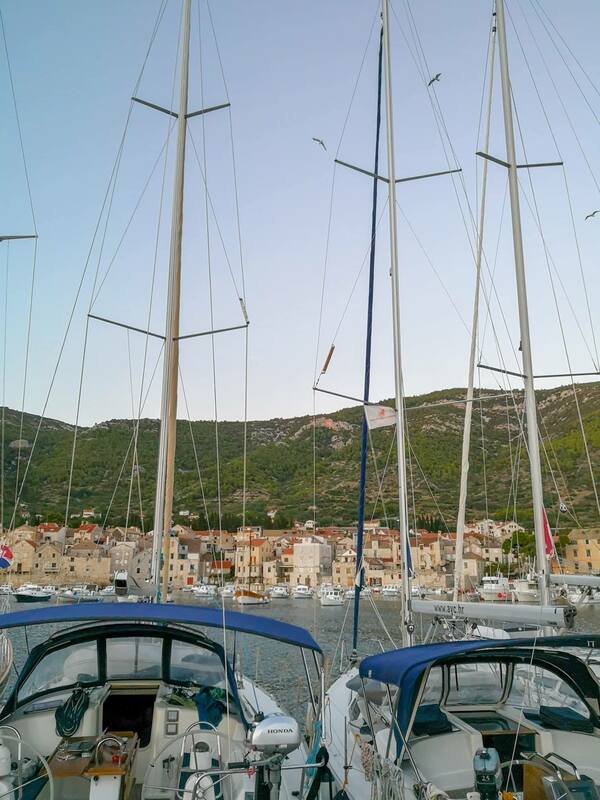 The marina for sailboats and yachts is much bigger than the one in Komiza and in general, the town seems a lot busier. 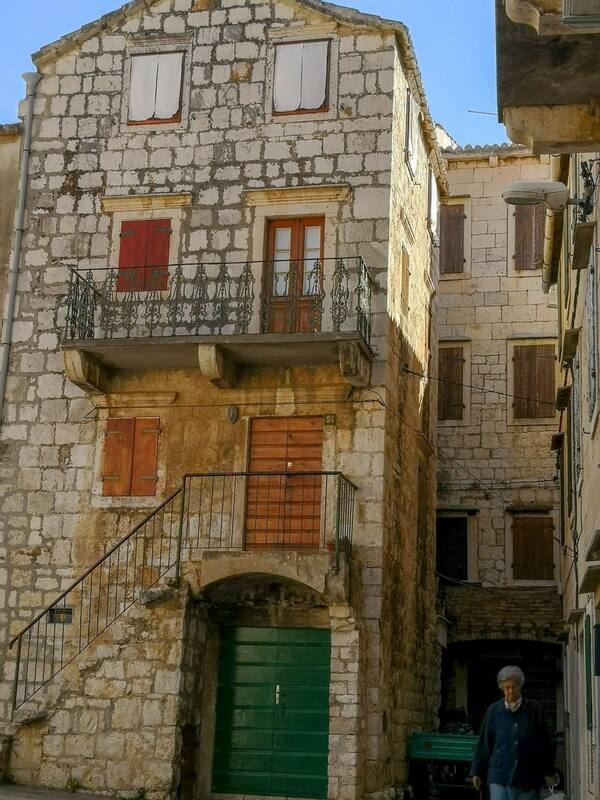 Located in the north-eastern part of Island Vis in a well protected bay is Town of Vis. From the time of World War 2 up until 1989, the whole island of Vis was a military island and excommunicated from foreigners. It was primarily used by the Yugoslav Army. Here’s a fun fact. Tito was extremely paranoid about being invaded that he invested 60billion euros to build a military infrastructure around Yugoslavia and there are literally 16 army bases just on Island Vis alone! This means that remains of military objects, bunkers and tunnels can all be found at Island of Vis. It is one of the island’s leading attractions and most fascinating parts of history. Local agency Alternatura has an excellent program for those wanting to experience the Military Tour of Island Vis! 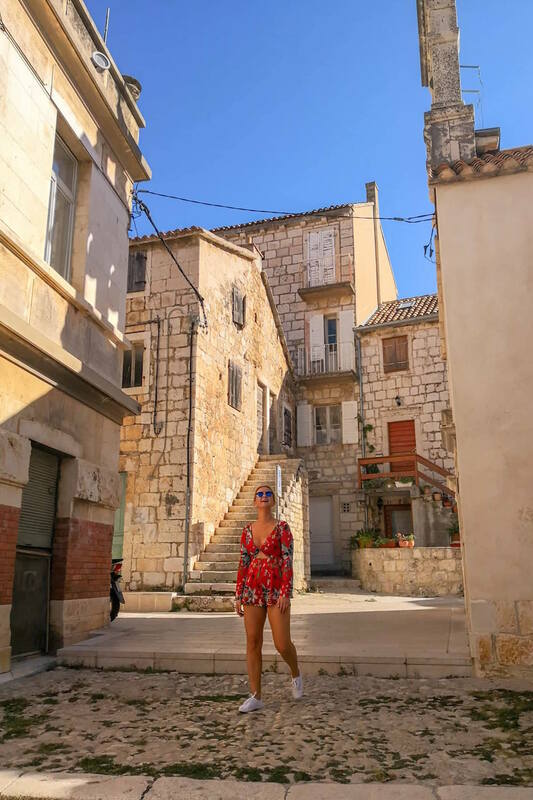 While we were visiting Town of Vis, we were lucky to go on the Mamma Mia 2 tour which walked us through all the top locations from the movie scenes and where they were filmed. If you’re a fan of the movie, I would recommend this tour. Many locals of Vis had some sort of involvement in the movie and they’re very passionate about sharing their story! One of the best and most efficient ways to travel around Vis Island is by bike. Cycling is becoming really popular on the island due to the well constructed roads that easily connect the towns. For those seeking some thrill in the water, Vis is known to have numerous secret caves and beaches that are accessible by boat or kayaking. We visited some of the secret beaches and coves on our last trip to Vis, you can read more about it here. One of the most well known caves in the area is Blue Cave and I did visit this cave 2 years ago but lost all my footage from it. It’s located on neighbouring island Bisevo but if you don’t want to venture out too far from Vis, there’s always Green Cave just off the island on a smaller island called Ravnik. Again, Alternaturaseem to have all your bases covered in ensuring you’ll have a memorable experience. You’re living under a rock if you’ve never heard of Stiniva Beach, according to numerous media outlets, the best beach on the Adriatic. It was voted the best beach in Europe in 2016 and held it’s allure to the fact it was hidden and difficult to get to. You can get there by either hiking down a steep trail or by boat and swimming to the shore. The first time we went by Stiniva Beach was in late June and it was already quite busy. The second time in late September, fairly empty and how it once looked, before all the media attention. On this visit unfortunately it was too windy to go swimming. I often say that Croatia is the whole world in one country. I say that from a perspective of, whatever you’re looking for as a traveller, you can find in Croatia, there is something for everybody no matter what the season or budget. What I love about Island of Vis is the purity, it hasn’t sold out to mass consumerism. I really hope that it stays this way. It’s still authentic and traditional dalmatia. For those seeking the sounds of the city, stay in Split. For those seeking the serenity and nature, visit Island Vis and spend a few days there. There’s no rush on Vis. This post was part of a press trip and in collaboration with the National Tourism Board of Croatia. All views, opinions and observations are honest and unbiased.